Molded parts can be produced by more than one type of mold and by various types of mold design. It is important that mold requirements and expected performance be agreed upon prior to acceptance of the order. Unless the customer has requested otherwise, the molder has exercised the right to determine the type of mold and details of mold design. Size and type of molding press most suitable for producing acceptable parts traditionally have been determined by the molder to assure production in the most economical manner. Tooling purchased from a custom molder generally has been kept in a satisfactory condition and retained for the normal life of the mold. 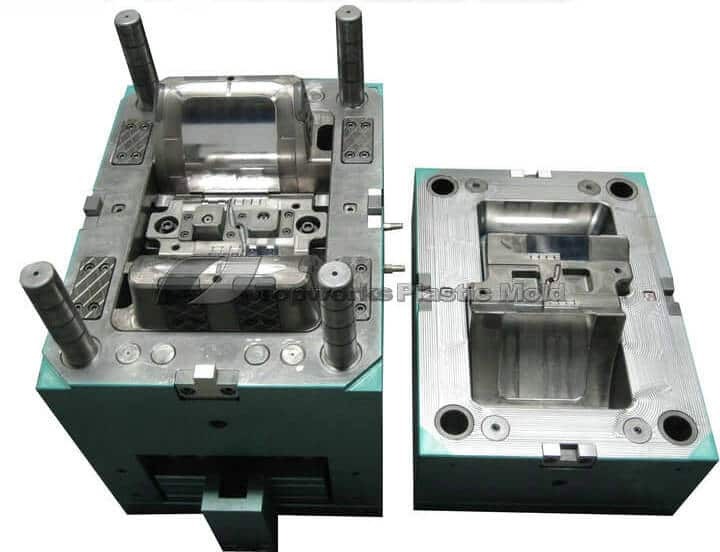 The normal life of the mold usually is considered as terminated when the customer no longer accepts the parts produced from the mold because of defects caused by mold wear, that no longer can be reasonably maintained. (2) the additional cost of secondary operations. Upon receipt of notice from the molder of the inability of the mold to hold tolerance due to wear as described, if the customer does not authorize mold repair or replacement and still requires production of parts from the mold, then the customer generally has assumed responsibility, in writing, for defective and/or reworked substandard product. Normal mold wear is a result of the quantity produced if production requirements significantly exceed the original estimates, which served as the basis for mold design and construction. It also should be noted that in the case of low volume production, frequent setup and start-ups can contribute to abnormal tool wear. Molders typically have not been responsible for major mold repairs or replacement. Damage during transport is not the responsibility of the molder, but must be handled as a freight damage claim to the carrier. When a mold has been furnished by the customer and the molder was not involved in original design or construction, the molder has not assumed responsibility of the design and construction aspects or mold performance and/or product specifications unless specifically agreed upon, through tool capability studies and/or production experience. It is not the practice of custom molders to furnish mold or tooling prints unless specifically agreed to in advance. A mold purchased by a particular customer or furnished by the customer is not used to produce parts for anyone else without the written consent of the original purchaser or registered owner of the tooling. Molds usually are stored without charge to the customer as long as the mold is active. However, after a two-year period of no production, the mold is ordinarily considered inactive. At that time, it is customary to request in writing instruction about the disposition of the mold from the customer. If the customer wishes the molder to continue possession of the inactive mold，storage charges may be applicable. The molder has considerable engineering and development investment in a customer’s mold by the time it is in production. For this reason, it has been customary for the custom molder to retain tools, molds and equipment which the molder has built or contracted to build. If the molds are removed from the molder’s possession within one normal production year, it is normal for the molder to receive a removal fee to recover engineering costs. This should be contained in the molder’s terms and conditions of sale. It is not customary to amortize molds, as the molder’s investment in machinery is extremely heavy. It is not a common practice for the molder to carry any liability, fire or other insurance on molds, as this has been the customer’s responsibility.